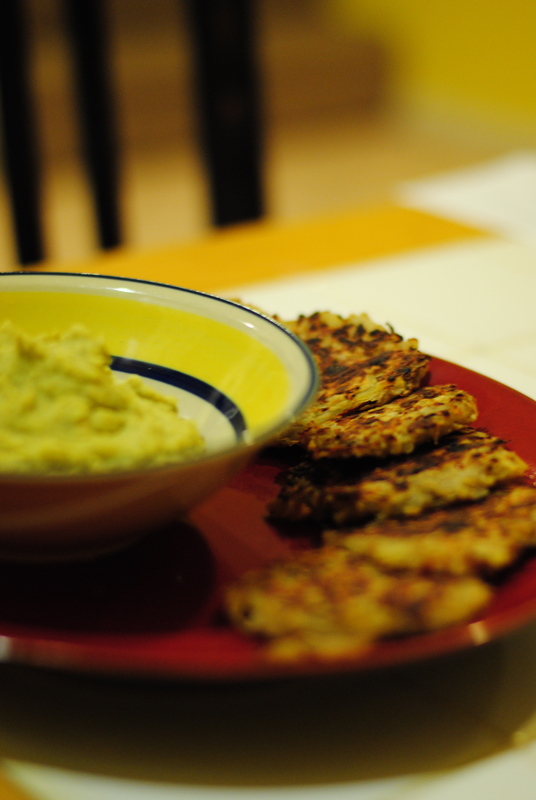 Modified from Veganomicon’s white bean aioli sauce, and inspired in part by Chaya Rivka’s Healthy Jewish Cooking post, “Eight Dips for Shabbat,” I bring you the summer twist: cilantro-lime aioli sauce and potato latkes. 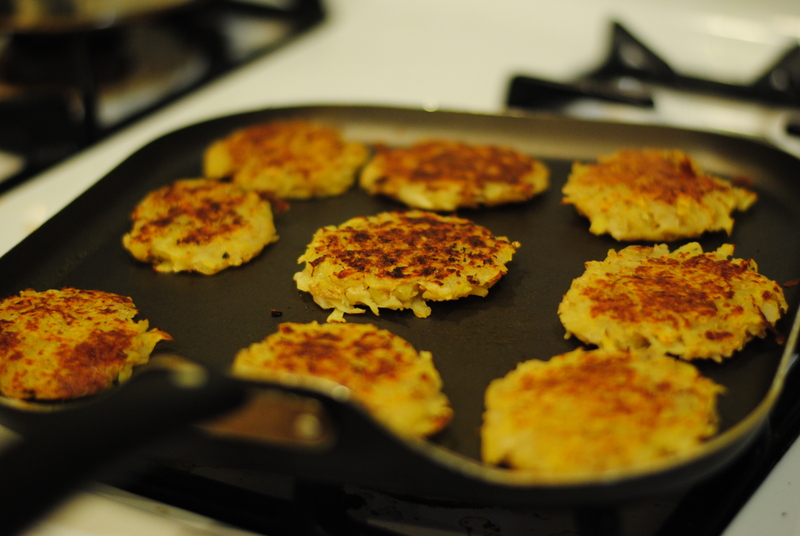 It’s not Hanukkah, but all of a sudden I had a craving for fried potatoes in the middle of summer. And this is what I created. The Human Society recipe site calls for oats to replace eggs. Intrigued, I soldiered on with this instead of egg replacer (the 70s style box and the taste, in general, weirds me out, so if I can find a substitute for that substitute, I’m all for it. PLUS if I can get oats and beans into more of foods I already know and love — that’s great! If I’m going to jump on a bandwagon, a whole foods one seems good to me). 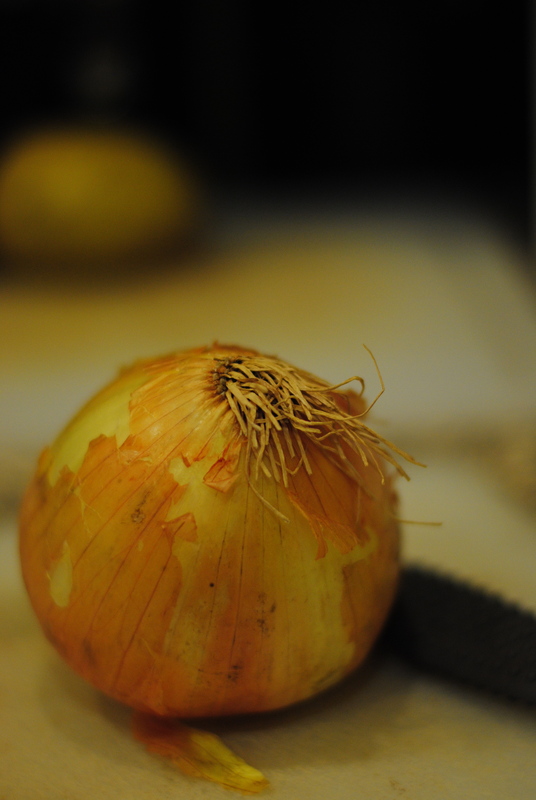 And, as you can see– it did work. Yummy! 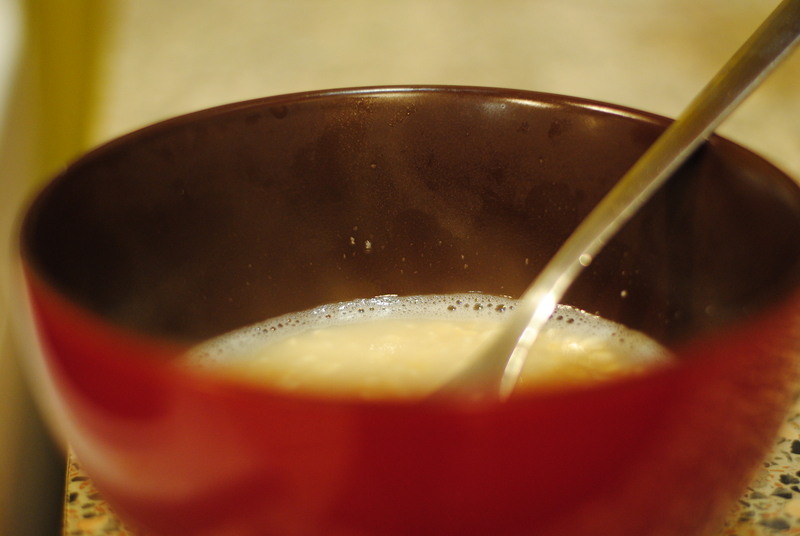 In a heatproof bowl, combine the oats with 1/2 cup boiling water. Stir and set aside while preparing the other ingredients. 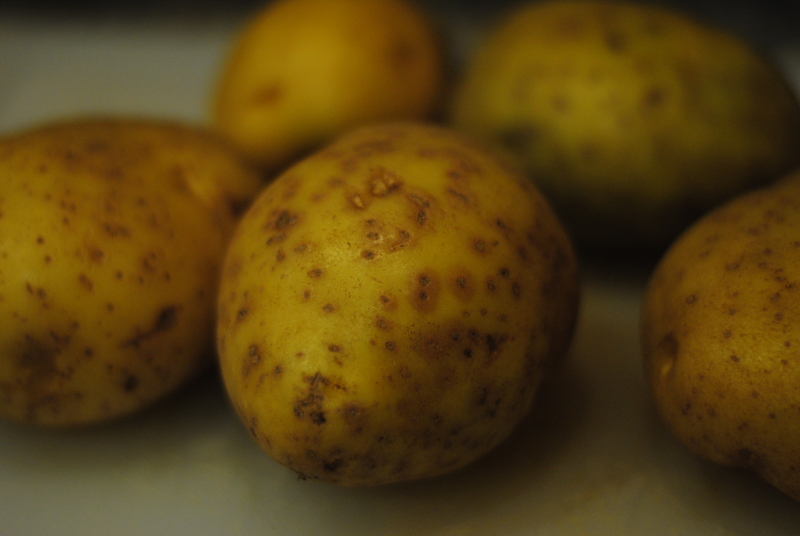 Combine the grated potato (I kept the skin on), onion, and cornstarch in a mixing bowl. Stir in the oatmeal, then season with a dash of salt. Lightly spray a nonstick skillet with vegetable oil and heat the pan over medium-high heat. Form 3-inch potatoe pancakes. Fry on both sides until golden brown and crisp (about 10-15 mins on both sides, depending on how much liquid you drained from your formed pancakes prior to setting them on the skillet). Drain briefly on paper towels. Serve warm with dollops of cilantro-lime ‘aioli’ sauce (recipe below). (It’s possible I was partly drawn to this recipe just so I could write ‘dollops’ on my blog!). Cook the beans. This is a 6-8 hour (or overnight) process — just a warning, so I hope you like your kitchen and that you have a good book and a free hand. There is something so calming about making a sauce with beans. This was a first for me, and I have to say that I’m glad I tried this. It’s as easy as making hummus and the variations are endless, I imagine. 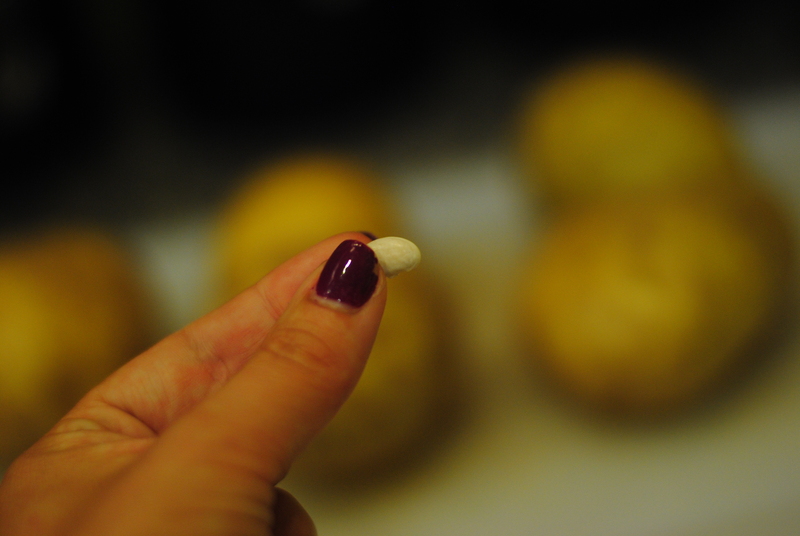 Let me know if you have any suggestions for future cannellini bean recipes! This little bean doubled in size overnight! To cook the beans: soak 1 cup beans in 3 cups water overnight covered and in the fridge. Drain. Cover with 3 more cups of cold water. Bring to a boil. Then bring to a simmer — cook for 1 1/2 to 2 hours, covered. 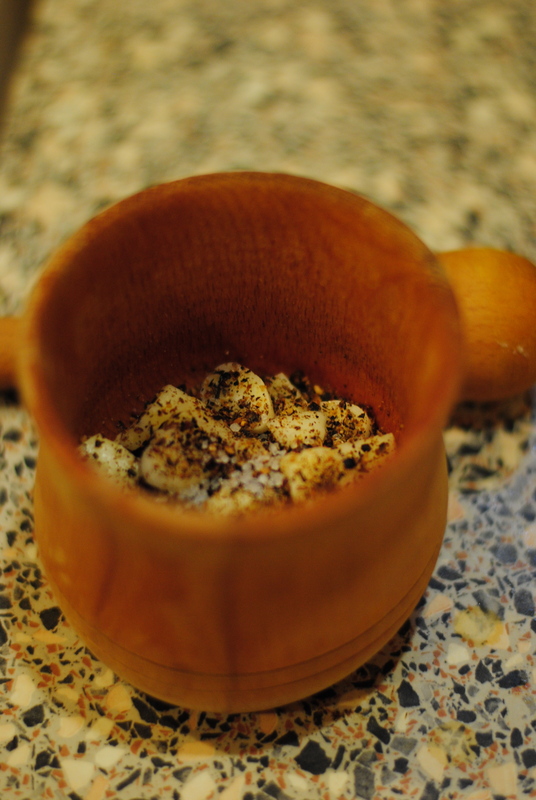 While the beans are cooking, in a mortar, smash the garlic cloves, fresh pepper and salt with the pestle to form a paste. 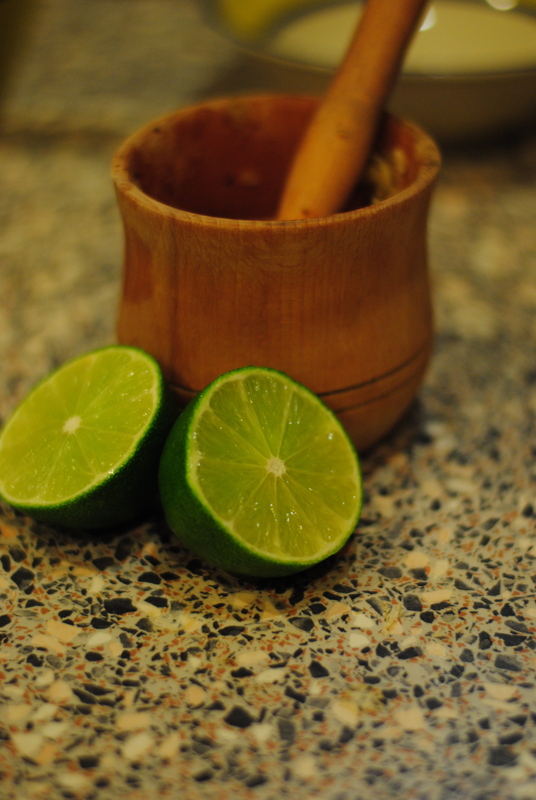 Blend the cooked beeans (drained) in a food processor with the lime juice and cilantro. Then add the garlic/pepper/salt mixture. Blend again. (Using a mortar and pestle is the “traditional” way to prepare aioli and brings out the flavor without the bitterness). 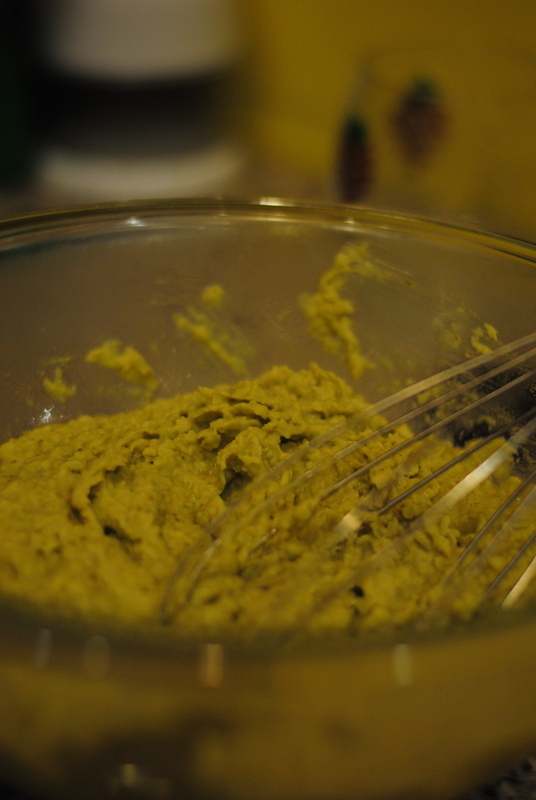 Transfer the blended cilantro-lime aioli sauce to a medium-sized bowl and use a whisk. 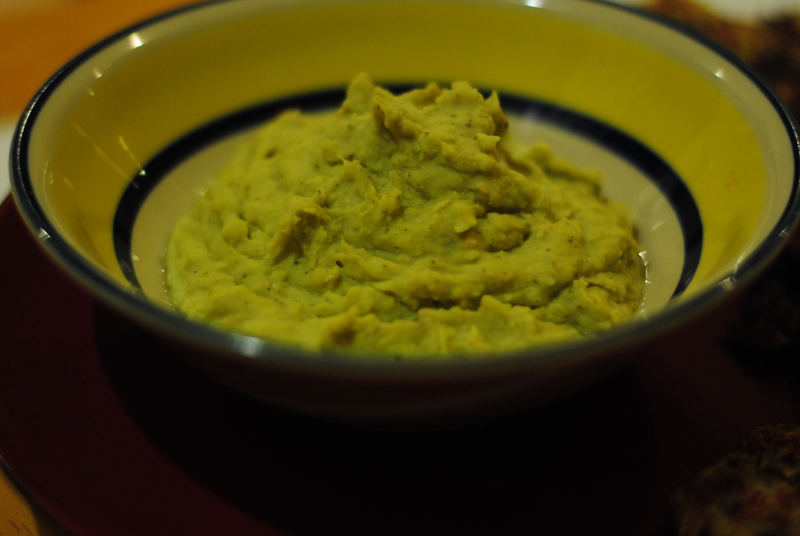 Add the olive oil as you whisk (you can use less if you are going for a healthier dip, of course, but then it tastes a bit more like guacamole than aioli). Slowly the mixture will emulsify. This sauce, which will keep for around 2 weeks, is good with many foods: latkes, obviously, raw or cooked veggies (green beans, asparagus, tomatoes, broccoli, etc). I also think it would taste great with any sort of chip. 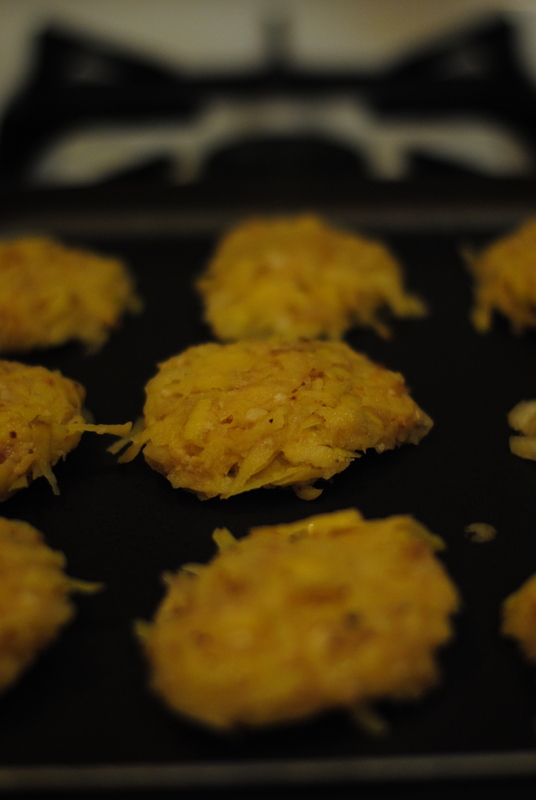 It’s traditionally eaten with seafood, but I prefer latkes, or, at some point, sweet potato fries, chips, mmm, treats! Another good thing is that because this aioli has no mayonnaise, it keeps longer and doesn’t require the same care in temperature control that it would need if it had dairy products in it. I really love it when recipes, or anything, lead me to kabbalah since it was basically instilled in me not to go near it if I’m not a 50 year old man already learned with Torah and the Talmud. It’s dangerous they say. And I’m not Madonna. BUT I’m a sucker for the spiritual — the coincidental, the mysterious, the mystical, whatever you want to call it. So I was a little bit giddy about tracing aioli back to Spain, to Catalonia to be specific, and ending up here. I’m certainly not an expert or even all that knowledgeable of Jews in Gerona, either, but what little I have read is that Jews were influential there too — as merchants, craftsmen, businessmen, money lenders, and bookbinders, much as they were economically influential throughout the world. Gerona, as a center of religious life, was a setting that lended itself to intensive text study in the 12th and 13th centuries — an intensity with a trajectory that headed to mysticism, to Kabbalah. The site above proposes that the development of Kabbalah has its foundation in Gerona, where the first group of Kabbalists on the Iberian Peninsula were trained in the thirteenth century. Furthermore, Moses ben Nahman or Nahmanidis (the Ramban) was born in Gerona in 1194. Again, don’t know much about Ramban, and I did, even, admittedly, get him confused with Rambam. (These acronyms are difficult, okay? Though you’d think I’d be better with them considering I live in D.C. — the city of acronyms). Rambam was was Rabbi of Gerona and later the Grand Rabbi of Catalonia. Known as a master of Kabbalah, a doctor, a philosopher, knowledgeable, too, of Christian theology, he was respected for his knowledge and his wisdom in the community and he was chosen by the crown in 1263 to represent the Jews in the Barcelona dispute with Pau Cristia, a Jew who converted to Christianity to become a Dominican monk. The dispute was an attempt to convert Jews to Christianity by debating and debunking Hebrew texts. The dispute was held with a wide audience — the King, the Bishop of Barcelona and intellectuals of the community. Ramban won the dispute, was able to hold his ground, his mind quick and his knowledge solid, but, like with most debates, he was wise in balancing — offensive, defensive… actions, reactions. but at the end of time I shall be summoned back before the King. Thinking about what it means to be ‘brought forth’ from ‘Nothing,’ I stop to think about self-awareness, our determination, and our actions as the manifestation not of some other wordly thing, but of a world created of our will, alone we have everything, alone we are among his hidden treasures, with others, also of nothing. If we enter from nowhere, and leave with judgment, our world, manifest and transcending, must be with us all the way through. The Kabbalistic Tree of Life, connecting the transcendantal with temporal manifestations, brings forth radiance in the world. The sephirot are our individual qualities. It is our role to pull them into harmony with one another; our actions make our lives, create our headspace, our communities, and our national, even global dynamic. And though we came from nothing, we don’t go unjudged. It is coming from nothing that we are among treasures, we are valuable in and of ourselves, of our own volition. We all face judgement at the ever shifting ‘end of time’ — from ourselves and each other. At this point in my life, I challenge myself simply to be aware of the qualities I possess, to question which tendencies are heavier than others, which pull me too far in one direction, and which pull me up or down, what causes me to limp left or limp right. I challenge myself to remain aware, to blend them, to do what is uncomfortable even if, or especially because, the little voice inside me throws a tantrum. But I should just say — I don’t pretend to know Kabbalah. Cooking is safer. The idea is beautiful, but I’m not Madonna. 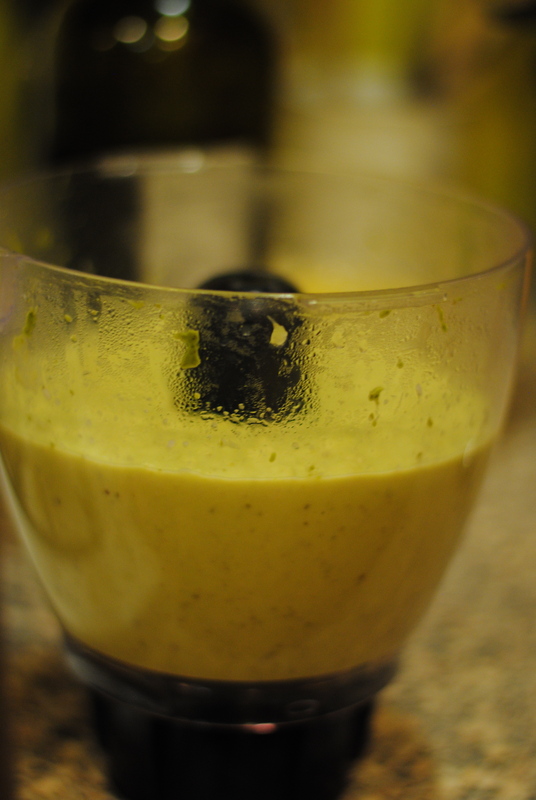 I blend my foods, hope they taste good, and reassess the next day, with a new recipe. I, for one, haven’t had enough beans, nor have I been consuming enough grains, but with this recipe I have put them into what I already do cook and eat plenty of. Inching my way to a more balanced diet.